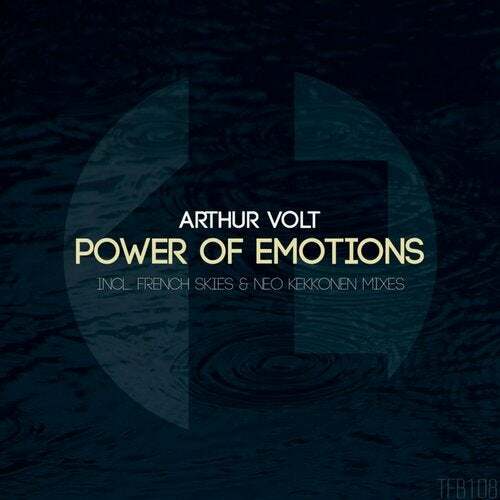 TFB Records presents its 108th release, a track by Arhur Volt called 'Power of emotions'; including original mix and two incredible remixes by French Skies and Neo Kekkonen. The original mix is a well produced standard trance song, with a remarkable acid baseline and a pretty epic melody which will be progressing since the first steps of the song. On the breakdown, this melody will take all the leadership, and more sounds will be added to the mix to enhance the acid taste. A short but very intense uplift will make a huge tension before the big explosion. Very nice song produced by Arthur Volt with a great power but without going very wild, and focusing on a marvelous melody with an amazing acid soul which will fit perfectly on every trance set. First remix has been produced by the well known artist French Skies, who has change the song in so many ways. The power of the baseline has been increased, as well as a great atmosphere has been set surrounding everything. The melody has been turned darker and wilder, keeping most of its acid soul but with a great presence. On the breakdown we will find how the atmosphere embraces the progression of the melody, and how this melody rises to get an untold power and to create a perfect uplift with such an acid taste. The end of the uplift is set with a suddenly stop and a huge explosion which will introduce the wildest part of the song. Very nice job by French Skies changing a lot the original and achieving an almost new song. Second remix has been signed by Neo Kekkonen and, as the title shows, the bpm ratio has been increased until 140. But, surprisingly, the remixer has achieved a very soft sound over this bpm ratio, transforming the song but keeping its trance soul with a wonderful progression and a very subtle baseline, staying far from the big power of the uplifting songs. This is indeed a song that will stun us since its very beginning with the incredible stream of beauty it releases. The breakdown shows more heavenly sounds, creating an atmosphere of pure beauty. But the main melody will soon start its progression and will give a high dosis of power to the breakdown. A very unique song, which has enhanced the original and also has kept the most part of its essence. Congratulations to Neo Kekkonen.